We very slowly and gently made our way back to the barn, where I gently slid to the ground, trying not to moan. I leaned onto her, steadying myself, and tried to figure out how I was going to get the tack off her. I could hardly move, and I whimpered quietly as I dragged the tack off and put it away. No way could I pick up her feet to clean them. Sorry, pony. It was all I could do to crawl to the car, lower myself into the seat, and drive home. What happened? My back had been bothering me a bit for some weeks, feeling a little stiff and sore here and there. Big deal, it has done that for years. That day I fidgeted a bit as I rode, trying to find ways to be comfortable. It sure was not feeling right. Was it the 50 lb bag of pellets I had lifted a few days before? The sudden sideways spooks my young and reactive other horse had been doing for the last three months? Too much sitting and not enough core strength? Whatever it was, it was not feeling good. I had already ridden the spooky horse that morning before I got on my mare, and I knew my back was hurting, but I had another horse to exercise. Never give up, never surrender, right? So I popped two Ibuprofen, got in the car, and drove to the barn. What an idiot. If there is one thing I’ve learned from this painful episode of back pain it is this: LISTEN to your body. If you don’t listen when it whispers, it will start to whine, and after that…it will scream. And then you will pay: with interest. I kept riding rather than resting my back, IGNORING the pain, until my back said, “that’s it, I’m done with you!” The muscles spasmed and locked the whole thing up in order to prevent more damage. If you haven’t had this happen, believe me when I say that this really, really hurts. Often our bodies are smarter than our brains. Because it now hurt badly enough that I could not even drive a car, much less ride, I finally took care of i! I went to a doctor, who prescribed at least two weeks of NO riding, lots of ice/heat/ibuprofen and rest plus daily walking. After that, core strengthening, exercise, and stretching. A strong core stabilizes the spine and protects it. Riding, especially concussive activities like jumping, major transitions, or the sitting trot, can stress or injure the back. 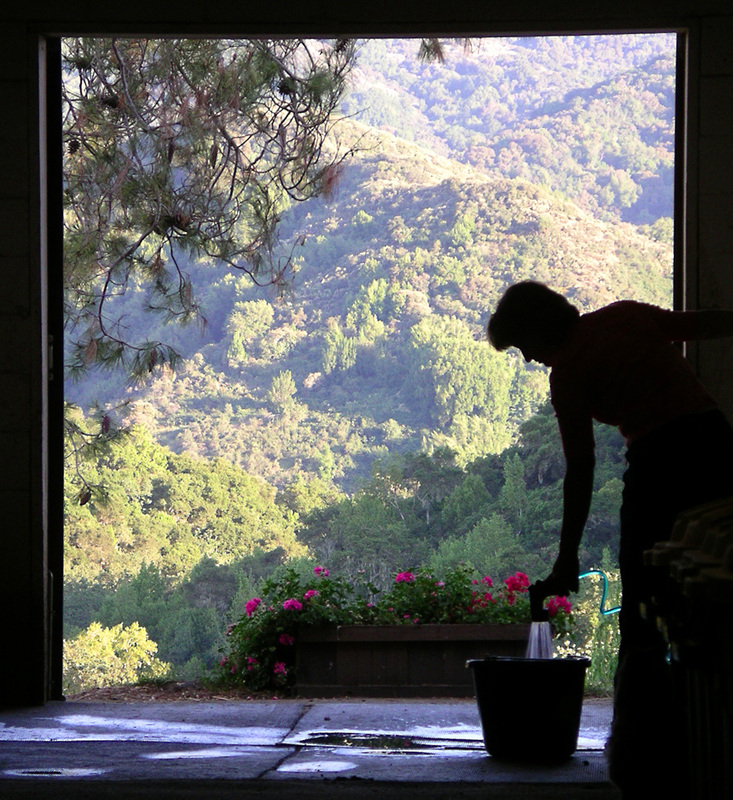 Horse care involves many back intensive things – heaving (twisting) saddles about, bags of feed, bending over to pick up feet, dealing with 1000 lb animals who may move suddenly in surprising directions – and often do, as we know. Since this back injury, I’ve made some changes in the way I do things and, thankfully, have not been “grounded” since. I should be bending my knees, not locking them as in this picture here…. 1) Consider yourself an athlete and condition for riding! If you can’t ride daily, be sure to get aerobic exercise and to build core strength. In addition to riding, cross train: walk, run, swim, garden, play tennis. I use a Body Blade to build my core and upper body strength. http://www.bodyblade.com/en/ It’s weird looking, but it works. 2) Stretch! I always though stretching was such a boring waste of time, but I have become a convert. 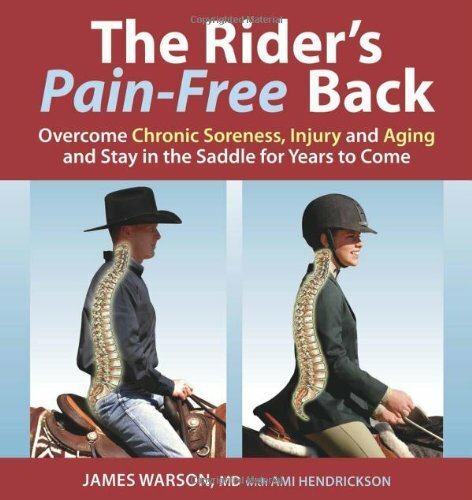 This book, http://www.amazon.com/The-Riders-Pain-Free-Back-Overcome/dp/1570763712, not only explains causes and prevention of rider back pain, but gives stretching exercises, too. Since I began daily stretching, I am a much more supple rider and I have much less back pain. Voila. 3) Check that the saddle fits YOU as well as your horse. A saddle that hurts you or is just too wide for you (or too small) will throw you off balance and cause you to brace to avoid pain. So will a saddle that is down in front, which forces you to arch your back to keep your balance. 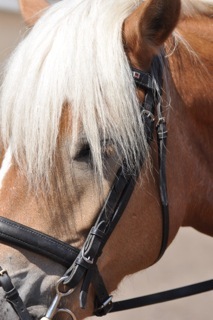 Equipment really does make a big difference to you and the horse, because riding is largely about balance. A saddle that forces you to fight for your balance is not helping you and may contribute to back strain. Get that saddle properly fitted. Insist on it! 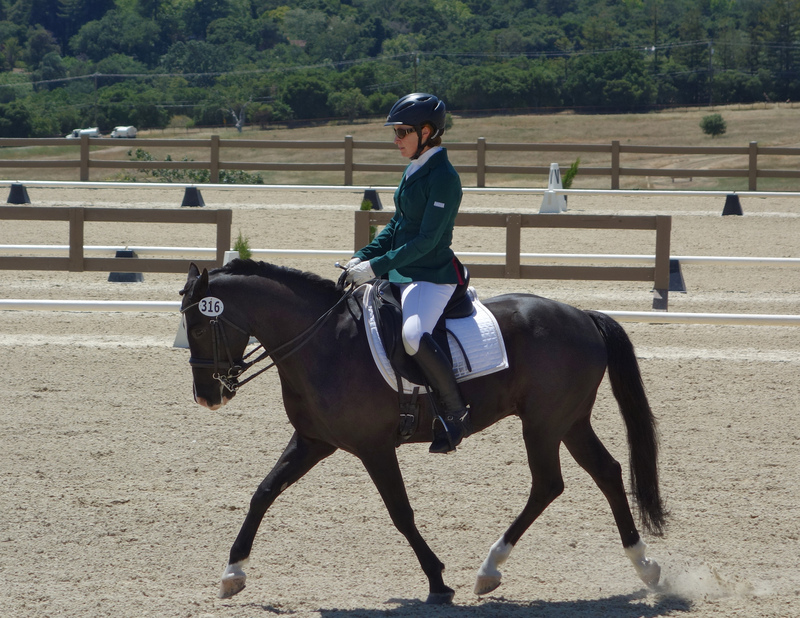 4) Post the trot rather than sit, and if you have a choice, choose smooth gaited horses. Sure, those big flashy gaits look impressive if you’re going to show, but they are hard to sit and hard on the back. Consider the wear and tear on your body as you are looking for a horse. If you already own a bouncy horse, well…do what you can to protect your back but if you really have back problems, you may eventually need to find a smoother gaited horse. 6) Most importantly, LISTEN to your body and accommodate it. Now when my body says, “you’ve been overdoing it, cut back a little,” I do. Instead of jumping, I take a trail ride (less impact and jarring). I don’t pick up 50 lb bags of feed any more. I do sit the trot, but not endlessly (better for my horse, anyway). 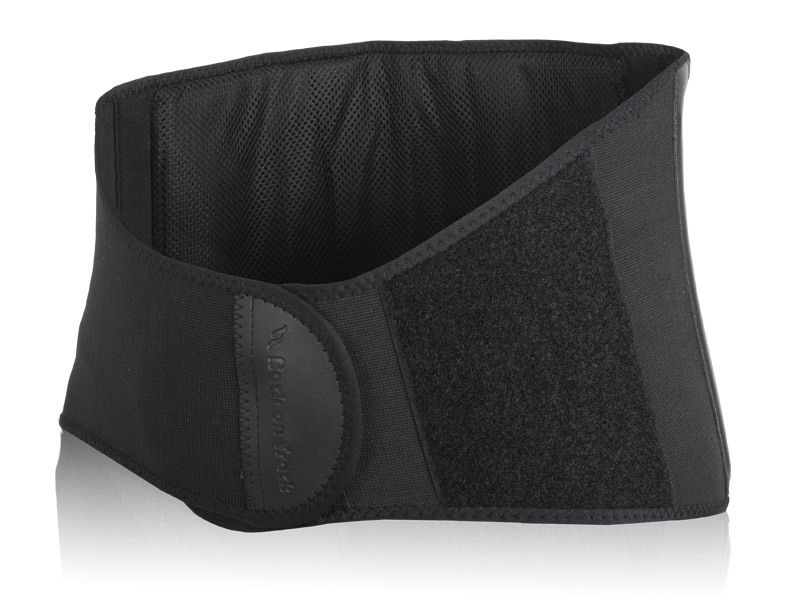 Use common sense and protect your back. Protect your back and you’ll be riding for many more years! to come! Finn and Edie – yep, sitting the trot.